Within the United States there are over 100,700 people in need of a new kidney. Sadly, nearly 5,000 of those die each year waiting too long. Did you know you were born with 2 kidneys, yet you only need 1 to survive? A kidney transplant is the best treatment for someone with kidney disease and kidneys donated from living donors last longer too. The process to donate a kidney is easier than you think. Would you consider becoming a donor? Joshua was born on a very cold January day. Although I had excellent prenatal care, there was no indication that problems existed. Josh was born at 5:05pm, a whopping 9lbs 13ozs! We didn’t realize how important that would be. We counted fingers and toes and looked at his sweet little face. My life had changed. I was a momma to a baby outside the womb. He was perfect. Josh was in an out of my room during the evening hours—feedings, bath, cuddling. The nurses then told me they would let me rest and I went to sleep. Approximately 2am I woke up and realized I hadn’t seen Josh in a while. I went to the bathroom and the next thing I know, my OB doctor was knocking on my door. He stood outside the restroom in my room and told me there was a problem and I needed to finish up because Joshua was being transferred to a children’s hospital in St. Louis. That got my attention! I went out to see my baby boy in an incubator, packed up and ready to go to Cardinal Glennon in St. Louis. The doctor said that he had a heart murmur and needed more specialized care. I wanted to go with him! But the doctor told me he could not allow me to go as it hadn’t even been 12 hours since his birth. I wanted OUT of that hospital and over to St. Louis and harassed my doctor until he released me around noon the next day. I went over to see Josh in the Neonatal Intensive Care Unit. Compared to the other babies in the NICU, he didn’t look so bad! Most of the babies in the NICU were TINY babies—some just a few pounds. And then there was my bruiser—9lbs, 13ozs. The nurses said that he had adjusted well to his new environment. This was the place we would call home for the next few weeks. At first they couldn’t figure out what was wrong They diagnosed the heart murmur but knew there was more to it. The days and nights blended together as we stayed in the NICU with Joshua, waiting for the diagnosis. Then it came. You always hear about the little cramped room, with solemn-faced doctors and nurses, hating to give you the news that something is terribly wrong with your baby. But knowledge is power, and they needed to tell us. Kidney disease. There it was. My child had kidney disease. No, there was no explanation why. Yes, it was going to be a difficult road. Yes he would need a transplant at some point. No they didn’t know when that would be. Yes he would need dialysis—and soon. All the words starting blurring together. I felt like the room got smaller and smaller. Did I do something wrong during my pregnancy? We’ll never know the “why”. On my way home that evening, I remembered thinking “food will never taste as good again. Colors will never be as vivid again. My son has a terminal illness and there’s nothing I can do about it.” I was wrong. It wouldn’t be the first, or last, time that I was wrong. When we were thinking clearer again, the doctor told us that his heart murmur saved his life. If he hadn’t had the heart murmur, he would not have been transferred to Cardinal Glennon. He looked healthy. He was big! And for those reasons, the kidney disease would not have been identified until an autopsy was performed. So we were BLESSED with a heart murmur! Joshua was born with one kidney that didn’t function at all and one that was the size of a five month old pre-born baby. That little kidney was trying, but it wasn’t doing enough to keep him off dialysis. So he had a catheter surgically placed when he was 6 days old to begin dialysis. His first treatment was at 10 days old. This dialysis was not the type you see at dialysis centers. This was peritoneal dialysis—where fluid is pumped into the peritoneal cavity where there’s lots of blood vessels. As the blood rushes by, the fluid pulls the waste out of the blood. The fluid is then pumped back out of the body to be disposed of. Finally, after successful treatments in the hospital, we were preparing to go home! The nurses were sad—they had a good time putting Josh in the swing, holding him and doing things they couldn’t do with the preemies and other very sick babies in the NICU. But they were happy he was able to go home. My (then) husband and I were taught how to do nightly dialysis treatments in our home. We were taught about nutrition and signs of distress in infants. We felt ready. But RIGHT before discharge—literally minutes before—the nurse came in with her checklist to make sure we had completed all our training. Her question “and you’ve passed infant CPR and rescue breathing?” Um, NO??? What??? She immediately took us to the training room to show us how to do infant CPR and rescue breathing. We had NO IDEA that this would save my son’s life. So we took our bundle home. The dialysis machine was in his bedroom, along with boxes and boxes of supplies. Things we’d never heard of before Josh—things we never thought we would need. And now we were on our own. The first night I was scared to death and barely slept. WHAT IF I COULDN’T DO THIS???!!! I just kept praying “God give me the strength and knowledge I need for this baby.” The first night was over and we made it through. Josh was bright eyed and bushy tailed the next morning. We went on with our new routine—no baths, only showers. The catheter in his tummy was a direct line for bacteria and infection, so he couldn’t sit in bath water. We had to clean around the catheter. We had to empty bags of fluid waste. We had to set the machine up for the next evening. We had to weigh him, take blood pressure, monitor intake. . . it seemed never ending. And then, something was wrong. Josh started staring and not blinking. Then his hand was opening and closing with his heartbeat. And then he stopped breathing. While I was holding my son, he turned blue in my arms. And then everything September taught me immediately came back. I started rescue breathing while hollering for his father to call 9-1-1. It seemed to take FOREVER for the ambulance to get there. When they did, they were unimpressed. “He’s breathing now . ..” was the response. Yes, you IDIOT, because I just spent 20 minutes breathing FOR HIM to keep him alive! After forceful argument, they agreed to take him to the hospital less than a mile away. As soon as he got there, our hospital turned him away. They were NOT going to deal with a baby with a catheter and multiple medical issues. So, off to Cardinal Glennon he went in an ambulance. I followed in my car. His father was in the ambulance. Josh was readmitted to the hospital. He had died and been revived twice on the way to the hospital in the ambulance. After a battery of tests, it was determined that Joshua had a series of seizures and then a stroke. We were told that the stroke would affect the left side of his body. That he would droop and probably drag his foot. I was DETERMINED this would not happen. After getting medication to address the seizures and adjustments to his dialysis and nutrition, Joshua was ready to go home again. We soon slipped into a routine—feedings, showers, dialysis every night for 12 hours, alarms in the middle of the night because the dialysis machine was detecting problems, weekly injections that I administered to Josh, weekly blood draws, so many nephrology (kidney doctor) appointments I couldn’t keep track. . . And watching Joshua at every turn. Was that a weird blink? Did he stare too long at that? Let’s exercise that left side, buddy! And even though he had all these issues, he was my love—my strong little fighter. His smile melted my heart. Every single little sign of progress was celebrated like we won the lottery. And thus was our life. . .
That was the beginning of a 21 year relationship with Cardinal Glennon Children’s Medical Center in St. Louis, MO. Part 4 – Transplant Success! 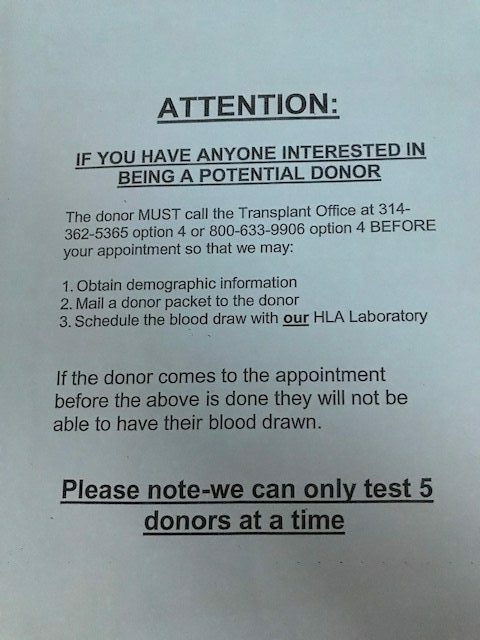 Part 6… When a Living Donor is found, we hope to update you right here! You can also visit LetsHelpJosh.com for more info and follow along on Facebook! Will you consider becoming a Living Donor? 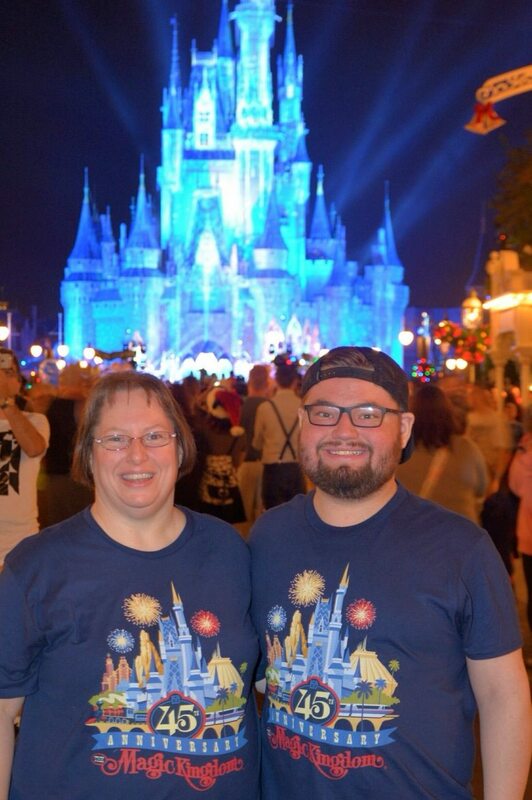 Even if you aren’t an exact match for Josh, you could be a match for someone else in need. Too many people with Kidney Disease are dying just waiting to see if a match is made. Living Donors can drastically reduce that waitlist – what a Gift you could provide!